InSanity lurks Inside: Universal Orlando- The 3rd Gate is Happening. Universal Orlando- The 3rd Gate is Happening. Universal Orlando and the Mystery 3rd Gate. Because let's face it, we know the money from a certain boy-wizard is what is building this for them. It seems, Universal Orlando has gone off the deep end of the spectrum with their decisions lately. With more paperwork and permits being filed, Universal has made the leap and is building their 3rd theme park (or 3rd Gate as we often call it) but it's not where you'd expect. Yes, you read that correctly. Universal Orlando is building a NEW THEME PARK. In years past, this has been a long-standing rumor that Universal Orlando intedend to build another theme park but always left us with questions like..
Where? How? With what space?! We've dived back into our own records and various ancient whispers of times long past to break this down. In the red, you'll see the current proper of Universal Orlando Resort. It's, not exactly huge but is locked land-wise on all sides- A major interstate, A high school, Rich People and Hotels abound the property at all angles. The Pale Blue blot of land is the former Wet'N'Wild site, which is going to be the location of two more hotel properties owned by Universal. If you look to the south, you'll find the green colors. We know Universal Orlando owns the chuck of green outlined land, it's the former 'Martin Marietta/Lockheed Martin' property which was sold to them in 1998. This property borders Universal Blvd, the Orange County Convention Center and runs along the backside of International Drive. In the Yellow, we have another chuck of property- Rumored to be owned by Universal Orlando. There was a large sale of 101 acres in 2017 that runs along Sand Lake Road (that is marked as 482 on the map). Overall, we know Universal owns roughly 570+ acres of land in this general area. The exact details and property lines, those are harder to pin down but we've given it our best guess with all the information that has been dug out over the last 20+ years. So today when these images dropped from WFTV about construction plans for Universal's next theme park- we went to work. This image, fits in with the chuck of 'green' property from the map- the former Martin Marietta site that borders the Orange County Convention Center. Access would be gained from Universal Blvd, which was been built up rather substantially in the last 10 years with the expanding of the Convention Center. This image also shows a parking lot structure, which is reported to hold 16,200 spaces as well what may well be access roads into and around a central area. It's then very easy to guess this central area? That is going to be our mysterious third theme park. Another good thing to point out here, Universal is breaking the unspoken 'Theme Park Rule' which has been set down by Disney- That all your property should connect and be inclusive. Meaning, when you go to Disney, they do everything possible to keep your from leaving that property during your stay. 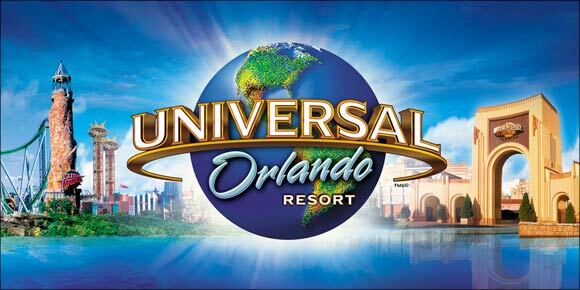 Universal has taken this, tossed it out the window and begun an ambitious project which will span a good chunk of the tourist 'zone' in Orlando. This also leaves the VERY good question- What will be inside this new park? Simply put, we've no idea. That's the beauty of a new construction park, you get to discover everything for the first time, along with that 'new theme park' smell. What we DO guess is that Wizarding World will be heavily involved- We published an article a two weeks ago pointing how Universal is attempting a new trademark related to the Fantastic Beasts franchise. If you put these two together, then we know at least one part of what will be included in this new adventure. 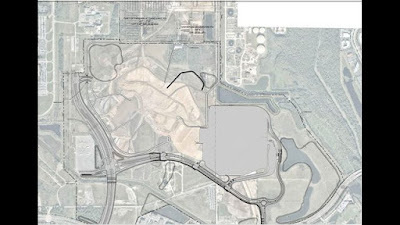 Along with this, another rumor is this is the area which may host the rumored 'Nintendo Land' expansion which has long been slated for Universal. Rumors are going to be flying in coming months, but don't worry. We'll keep you posted as confirmations begin to happen!